The theme of the 2020 Congress is ‘Let the conversation begin – Cultural and ethnic diversity in a changing world’. The ESC, over time, has broadened its membership and geographic spread to reflect the demographics of those who provide and those who avail of our services. This Congress is an innovative approach to integrating the science and research of reproductive health care with the cultural and ethical mores of a broad based service. The Congress will facilitate and encourage debate on a wide range of subjects from Classical contraceptive topics to Gender fluidity. The Scientific Committee is putting together a high standard, well balanced, scientific programme, offering current topics and excellent speakers. Keynote lectures are plenary sessions. Leading experts will present specific subjects. Congress sessions: in each of these sessions, experts will provide up to date information on a particular topic. A selection of submitted free communications will be scheduled into congress sessions. There will be time for discussion at the end of each session. Debates are meant as interactive sessions, introduced by experts in the field and followed by an in-depth discussion with the audience. Meet the Expert sessions are organised as informal, round table discussion with a limited number of participants. A variety of topics will be covered. Symposia will be the platform for the pharmaceutical companies. Poster presentations are chosen from the submitted abstracts and will carry equivalent scientific status to free communications in the programme. A Young Scientist session aims to provide a special platform for free communications by young scientists. The Organising and Scientific Committee invite all those involved in any aspect of contraception, sexual and reproductive health to actively participate by submitting abstracts, either for oral or poster presentation. All abstracts will be evaluated and those accepted will be published in a Supplement of the European Journal of Contraception and Reproductive Health Care. As only a limited number of oral free communications can be accepted, authors are asked to indicate on their form whether they wish their abstract to be considered ONLY for oral free communication or poster presentation or for either option. Both qualitative and quantitative research is welcomed but not case reports, audit or historical reports. Original scientific material is welcome and should not have been previously published. Abstracts presented at local, regional or national meetings may be submitted. Abstracts must reach the online system not later than 7th October 2019. Receipt of the abstract will be confirmed. Any person submitting an abstract can only be the first author for two abstracts. Authors will need to indicate their preference on the online form: oral communication only, poster only, either oral or poster. Authors who wish their abstract to be considered for the best free communication, best poster presentation or for the James Trussell Award for Young Scientists Scientists, should indicate this on the online submission form. If there is no indication, it will be assumed the author does not want their abstract to be considered for a prize. Abstracts will be evaluated (blind) by at least two referees. Confirmation of acceptance or rejection by the Scientific Committee will be mailed to the author. Detailed practical information regarding the presentation will be included in the confirmation. 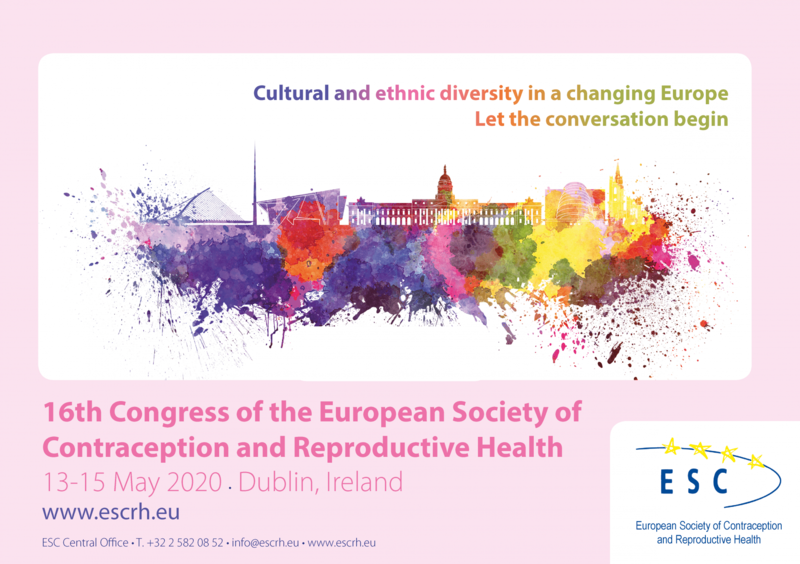 Accepted abstracts will be published in the Book of Abstracts of the Congress, Supplement of the European Journal of Contraception and Reproductive Health Care. Authors are urged, if not native English speakers, to have their abstract read and corrected by someone fluent in that language. The writing style of the abstract will be checked by the publisher and the necessary amendments made. In view of the deadline for publication, it will not be possible to submit the aforementioned amendments for authors’ approval. Presenting authors, whose abstracts are accepted for presentation, must register for the congress and pay the (early) registration fee. In the case of ‘no show’ at the time of the congress, the author may be blacklisted for the next congress. Hard copy abstracts (sent by fax, email or post) will NOT be considered. As a first step, you need to register as a first-time user. Please enter your email address. The system will ask you to create your account. Log in to the submission system. To log in, enter your email address and the password you chose when you first registered with the system (see 2). Should you want to submit several abstracts, you have to login each time you want to submit an abstract. Please contact the administrator by email (nancy.habils@escrh.eu) if you have any problem with this process. The abstract must fit into the abstract frame (max. 400 words). Type the title of the abstract in the first textbox. Do not enter names of authors or affiliations in the abstract template as your abstract needs to remain unidentified (blinded) to the reviewers. As you will need to enter this information elsewhere online, the system will make the correct link between your name etc. and your abstract. Preferably do not include references. Objective(s): indicate the purpose of the study or the hypothesis that was tested. Design & Methods: include the setting for the study, the subjects (number and type), the diagnosis or intervention, and statistical analysis. Results: present as clearly as possible the outcome of the study and statistical significance if appropriate. Conclusions: briefly discuss the data and emphasise the significance and possible impact to SRH. Type the text of the abstract using the full width of the document. Avoid the use of symbols. Standard abbreviations are accepted in the text. Unusual ones should be in brackets after the word first appears. Do not use abbreviations in the title. Please ensure that your abstract does not contain any errors in spelling, grammar or scientific facts. You will be asked to declare any conflict of interest. All abstracts will be marked according to the following categories: design and scientific merit, originality, needs analysis, significance and possible impact on SRH. A similar process will be followed for marking free communications and posters. If you wish your abstract to be considered for one of these awards you must detail this on the application form. The James Trussell Award for Young Scientists will provide a special platform for oral presentations by young scientists. Abstracts submitted for this award MUST be written and presented by the first author who should be under 35 years of age at 13th May 2020 and in a training, or a non-professorial, non-consultant grade. Some abstracts will be selected as Free Communications (FC) and will mainly be Incorporated Into the congress sessions although some separate FC sessions may be held. These will be assessed for the FC prize. Authors for the best poster award will be asked to make their poster presentation during designated lunch time and break sessions. The Best Poster Award, the Best Free Communication Award and the James Trussell Award for Young Scientists will be awarded during the Closing Ceremony. The Convention Centre Dublin (The CCD) opened in September 2010 and is Ireland’s only purpose-built international conference centre. This landmark building was designed by award-winning Irish architect Kevin Roche, and features a stunning glass fronted atrium running the full height of the building, giving visitors panoramic views of the River Liffey, Dublin city centre and the Wicklow mountains. 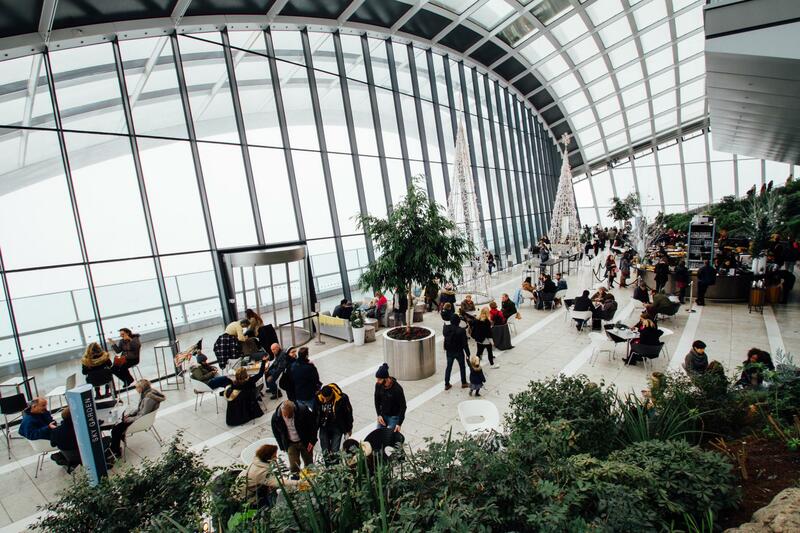 Located in Dublin city centre, The CCD is at the heart of Dublin’s transport hub with excellent air, road, rail and sea connections. The request for European accreditation will be submitted to the UEMS/EACCME. The number of granted European CME Credits will be announced in due course. In keeping with the majority EU members, Ireland has adopted the euro as its national currency. ESC does not accept liability for individual medical, travel or personal insurance and participants are strongly advised to take out their own personal insurance policies in their country of origin. The congress language is English. English is the spoken language through Ireland but with its own Irish flavour and lilt! Irish (or Gaelic) is the original native language of Ireland. Dublin is a safe and welcoming city. The city is one of the friendliest in Europe and maintains a relaxed and welcoming atmosphere. While the weather can be changeable – it’s rarely extreme. In summer (May to July), the averages for highest temperatures are between 17.7 and 20°C (64 and 68°F). Dublin city itself is small, compact and is tailor-made for carefree exploring by foot. 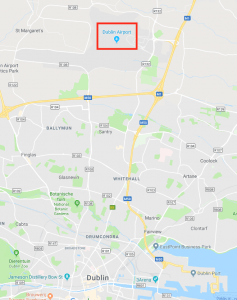 It also has an excellent transport system, which includes an urban rail system (DART), a stylish new tram network (LUAS) and an extensive city/countrywide national train and bus service. A universal public-transport access card called the ‘Leap Card’ is available allowing delegate’s access to all parts of the city by bus, DART or Luas. Taxis are plentiful and reasonably priced by international standards. A regular Airport bus (every 15 mins) can take delegates from the airport to the CCD, a journey of less than 30 minutes. The RDS has an hourly bus service to the airport, which takes 35 minutes. The majority of delegates will probably choose to stay in a hotel close to the conference centre. For those who wish to stay further afield the conference centre is well serviced by public transport (tram). Dublin is compact and easily walkable. Almost 10,000 taxis. Buses: Dublin Bus operates the city’s bus routes running from 06:00-23:30. Train: DART, Suburban and Intercity Trains. LUAS: State-of-the-art Light Rail Transit System. 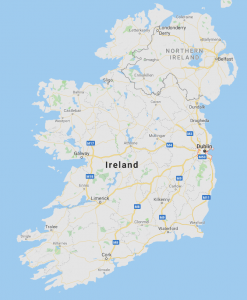 Dublin is connected to all major population centres, including those in Northern Ireland, by a major road network and is no more than 3-4 hours’ drive from any point in the country. Ireland’s rail system is modern and efficient, with regular train services arriving and departing Dublin daily. There are several railway stations located within a few minutes’ walk from the congress venue. Means of Transportation: Bus (30 mins max), Taxi (15 mins). Average Cost Airport to City: Dublin Bus Airport Transfer – € 7.00 Single. Airport Taxi – €25.00. DPT: Dublin Port Tunnel cuts journey time from the airport to the city centre, to 12-15 minutes. Bus: Private/public bus services that operate from the airport: Aircoach, Airlink. Taxis: Taxis are readily available for hire outside the airport (a taxi journey into the city centre from the airport should cost approximately €25). Car Rental: Most international car rental companies also have representation in the airport terminal. Fast Check in: Check-in capacity of 165 desks. Participants are encouraged to register through the online registration form (coming soon). All amounts are expressed and payable in euro. All refunds will incur a 20% handling fee. No refunds will be made after 1 February 2020. However, another delegate may be nominated as a replacement, up to two weeks before the congress. Cancellation must be in writing (by letter or email) to the Congress Secretariat. The date of the postmark or email will be used when considering a refund. All refunds will be made after the congress. Participants should state the bank details to which refunds should be made. Upon receipt of the registration form(s) with the appropriate fees, confirmation will be sent together with a receipt of payment. Once registered, registrations cannot be changed to another fee category. While it will be possible to register on site, we do suggest that participants take advantage of the lower fee (early registration) and convenience of registering in advance.